An underground wine cellar. We stick to recreate the cave-like air environment, such as European Chateau. 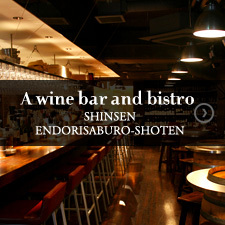 A casual dining bistro, SHINSEN ENDORISABURO-SHOTEN opens on the first floor, a branch of Tokyo’s top bistro . The residents can enjoy preferential treatments such as room service and the hot meal delivery for the parties in the living room. 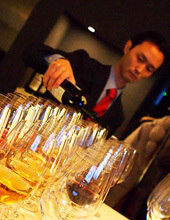 Supporting a rich variety of wine life by an exclusive sommelier of Max Bordeaux Roppongi. ***The service contents may change. The photograph serves as an image. Established in June 2011 as the Japanese branch of the Bordeaux Winebank, the biggest negotiant(wine merchant) of Bordeaux France. 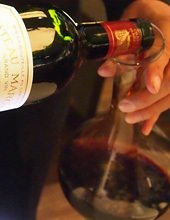 Management of "Max Bordeaux/Wine Gallery & Cellar Roppongi", a wine bar serving the finest grand vin by the glass, and "Private Collector Club Japan" selling the vintage Bordeaux wine by cases for members only. In the Wine Apartment, we do full participation of the launch and offer services for producing and implementing a private sommelier. Max Bordeaux/Wine Gallery & Cellar Roppongi: a biotope for wine lovers. Fashionably innovative style of enjoying grand vin by the glass. 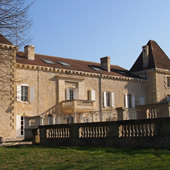 "Chateau Lafleur de Quinsac" owned by Bordeaux Winebank in Bordeaux France. 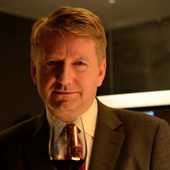 Henning Thoresen, CEO, Bordeaux Winebank. 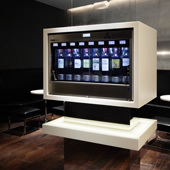 The innovative ideas are reflected on every aspect of the Wine Apartment as one of the country's top sommeliers, a customer service professional with rich experiences at exquisite restaurants, and more than anything, a wine lover. Creating an enriched wine community pursuing every wine lover's fantasy, as well as comfortable and user-friendly. Lectures, writing, consulting, education activities…and more. Designs the entire Wine Apartment. 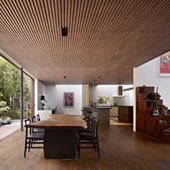 A custom-built house, apartment renovation, stores, multifamily housing, furniture design…etc. Plays an active part in various areas and highly evaluated at home and abroad. One of the most remarkable young architects now. 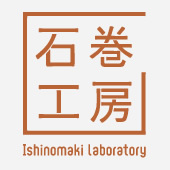 From 3.11, has established a studio "Ishinomaki Laboratory", a core of regional collaboration, revival and manufacturing as a management representative. 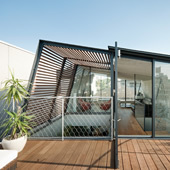 His forte is creating an extensive space with a flow of light and air with details of resistance and beauty. 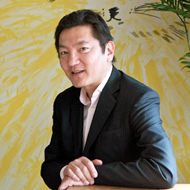 His sincere attitude and flexible imaginations enable him to design the Wine Apartment. 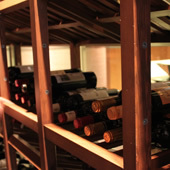 An underground wine cellar is the heart of the Wine Apartment. 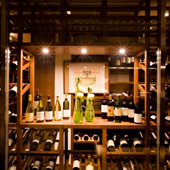 We bring in a wine cellar system of PS Company Ltd., famous for developing innovative air-conditioning system, in order to stick to air quality environment for wine. 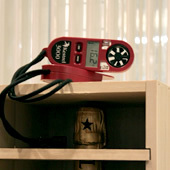 The wine gets cooled directly by natural convection and radiation from the radiator (PS HR-C) that circulates cold water. 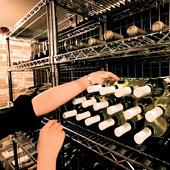 Also, by chilled storage mechanism of walls and floors around keep cool inside the wine cellar.Since there is no forced convection of cold air, such as an air conditioner, without worrying about air and noise, vibration and dirt from the fan, we can create an environment friendly to people even wine. This environment is like a wine cellar in the Chateau of Europe that wine aging while breathing through the cork as a "creature" and stored for a long time. 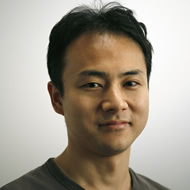 Tokyo Head Office Director, PS Company Ltd. Participating the joint study of research and development in UK, Switzerland, Germany, Korea and Japanese Universities. 1998 CEO, PS Company Ltd. Maintaining the wine temperature 14-16℃. Intriguingly, the air itself does not get too cold. Environment-friendly for wine and people. A cave-like environment such as stable temperature and humidity without any fear of wind and sound. Your concierge is your own personal sommelier. He coordinates and follows the procedure such as the individual meeting, site tour and contract. After moving-in, he supports premium wine life by selecting a bottle of wine, planning and arranging parties, coordinating wine glasses and decanters on-call as well as managing the wine cave. The Wine Apartment offers some exclusive services for owners and their guests such as weekend wine café, wine events, and sommelier catering service on request. In addition, the wine concierge provides the hotline service in order to offer attentive services matched each resident’s personal taste and situations. 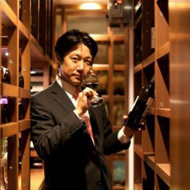 It allows him to play an original role as a sommelier, protecting his master’s wine. 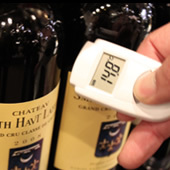 Services to ensure the residents enjoy the best state of wine by keeping appropriate temperature at a specified time and decanting when required. The wine concierge selects the best wine glass suited for each owner’s taste and wine from a collection of 100 kinds of the finest wine glasses upon request. 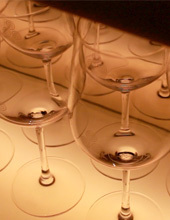 Monthly wine tasting salon hosted by an on-site sommelier is available with a membership fee. The owners along with their friends and families can participate. For wine events and private parties sponsored by the tenants, wine glasses, decanters and other wine-related items with cleaning services are available for rent. A partner bistro on the ground floor can serve fully catered dishes and ice. Other wine experts may be invited, as well. The wine connoisseur adds the professional touch by opening wine and explaining the products for the parties and wine events in the premium living room. The duties include checking overall environment, temperature and humidity in the wine cave. Visual inspections of the hygrometer/thermometer control equipment in the wine cave and data check. Note: In general, we do NOT keep individual booth keys. 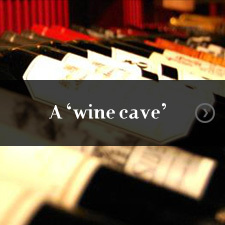 We use the waiting booth inside the cave for keeping courier services and opening and shipping wine bottles. 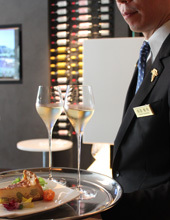 As a wine concierge, professional consultations by email and SNS on a daily basis are available for all owners. Introducing the best wine and sending out the news via global network system with partners, such as BWB Japan, Berry Bros.&Rudd(BB&R), and Premium Wine Co., Ltd.. Setting up a database of wines for individual owners (*) and facilitating participation in the famous auction sites such as Christie’s (*). 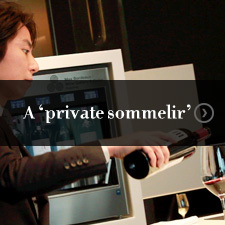 Your private sommelier will be around to support all services. 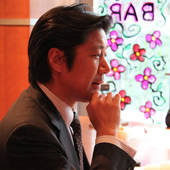 BWB Japan: Japan branch of Bordeaux Winebank, the biggest Bordeaux wine negotiant(wine merchant) based in Bordeaux France. Berry Bros. & Rudd(BB&R): Britain’s oldest wine and spirit merchant, having traded from the same shop on 3 St. James Street, London for over 300 years. 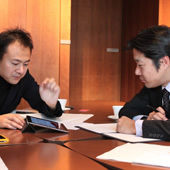 Premium Wine Co., Ltd.:Wine investment consulting company. Working days: 11AM-8PM every Saturday, the 1st, 3rd, 5th Sundays. ・* Fee-based services: a membership fee or actual cost. provided on the dates above, but also available at an additional cost upon request. 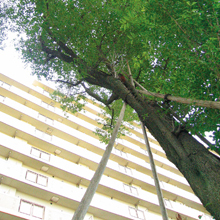 ・General manager of the apartment building and cleaning staff dispatched separately. The wine gets cooled directly by natural convection and radiation from the radiator (PS HR-C) that circulates cold water. Also, by chilled storage mechanism of walls and floors around keep cool inside the wine cellar. Since there is no forced convection of cold air, such as an air-conditioning, without worrying about air, noise, vibration and dirt from the fan, we can create environment friendly to people even wine. This environment is like a wine cellar in the Chateau of Europe that wine aging while breathing through the cork as a “creature” and stored for a long time. * For Rent, please visit the Members Only Site. Horizontal, vertical and box wine storage. 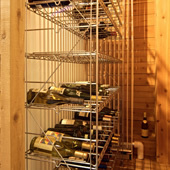 Customize wine cellar by removing the shelf board. 13-15℃. *The air gets 1-2℃ higher than the temperature of the wine itself due to the characteristics of radiative cooling. Tie-up with the security company: security surveillance cameras, elevator locks, security locks at the cave entrance and each compartment. Covered by designated fire insurance upon signing the contract. there is a generator for spare power supply. Casual type-26 bottles by Forster Japan. Capable of housing 36 glasses with glass doors. The 3 Burner Gas Stove and a built-in microwave oven. Terrestrial Broadcasting, BS, and CS. Prefabricated bath with reheating system. Taking out fire insurance specified by the lessor is mandatory. The company name "integrity & innovation" in mind we build a brand new platform of an integrated operation; not only achieving a transformation of the business model and attracted customers, but also entire team aiming to accomplish the ideal lifestyle, in realty project planning, attracting customers and management. 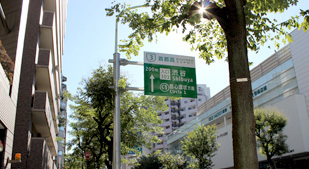 Since 1974, Inovv Inc. has deployed apartment management focused on community-based in the Tokyo metropolitan area along the Tobu Tojo Line, proposed the effective use and development planning apartments armed with unique concepts, wine and music, at the same time, an on-site nurse as a building manager. 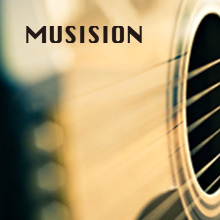 Series of MUSISION: You can play music for 24 hours. Planning and development for MUSISION KAWAGOE as the first stage,we supervise total 6 apartments. Introducing a newly innovative service and removing a preconception for an apartment manager: Tender care for management of a day-to-day health and body temperature as a nurse concierge. Being developed mainly in the Tokyo downtown area. Implementing a large scale of apartment renovation and new construction work as the first class architect office. Making suggestions focused on the resident's lifestyle as the developer.